Miss Dream » Blog » Coloring Activity Book Madness Continues! We hope everyone enjoyed their Thanksgiving last week! This week, we’ve got more fun for everyone, adding more Spanish activity coloring books to the site! These are fun for all ages and can be enjoyed with family and friends you spend this holiday season with! Our garage sale is still ongoing, with recent additions of our DVDs and Blu-Rays, more doujinshi, as well as buy one get two free on all doujinshi and magazines! Check it out for some awesome content, some of which have yet to be posted on the site! They may sell faster than you think! And don’t forget, we have a Patreon too! You can help us keep the site running by offering even just $1! Our monthly hosting and Cloudflare bill is $315! 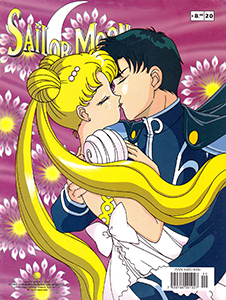 On top of that, gathering up Sailor Moon publications and other merch to digitize for the site can quickly get pricey. Enter Patreon – a monthly tipping and rewards site that allows you to support your favorite content creators and get perks as a thank you. Miss Dream’s content will always be free to access, but we are incredibly grateful for any support our visitors can provide to help ease the hosting bill and make it easier for us to keep acquiring materials to share. If you want to donate but not on a monthly basis, we always have our donation page where you can donate as much as you’d like, whenever you’d like. Any support is very greatly appreciated! We hope you enjoy this week’s additions and everything else on the site!